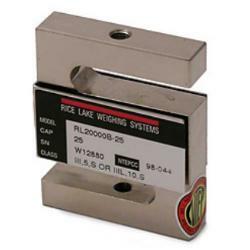 RL20000 SS S-Beam, Stainless Steel is ideal for all of your tension applications. Whether it is a suspended application or mechanical scale conversion, this model provides the additional protection necessary in wet, corrosive environments. Available in capacities ranging from 100 to 10,000 lb (22.7 to 4535.9 kg).